Chang-geun Lee came to Canada from South Korea 7 months ago to study English. I met him outside the Subway on Spring Garden Road. He told me that he was on a journey from Toronto, through Quebec, New Brunswick, Nova Scotia, up to Newfoundland, and then back to Toronto. He couldn't have been more friendly. 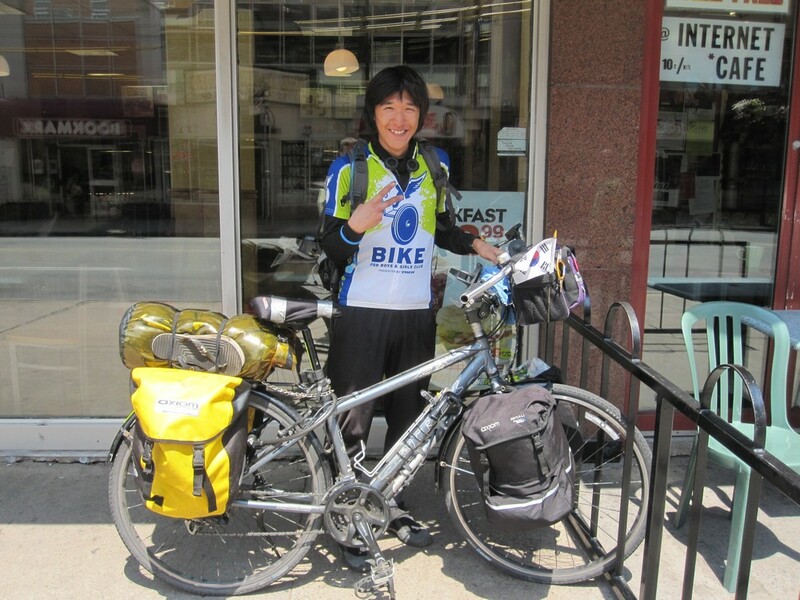 When I later told Chris Waldron about Chang-geun's proposed journey, while he was in the last fifteen minutes of an 8 hour ride, his jaw dropped in amazement at the staggering distances he would have ridden each day over the last month. Follow Chang-geun's journey on his blog here.